From the latest Tesla to nitrogen coffee to the holiday destination Instagram’s cool crowd are flocking to, GQ presents our annual celebration of the 100 best things in the world 2018. 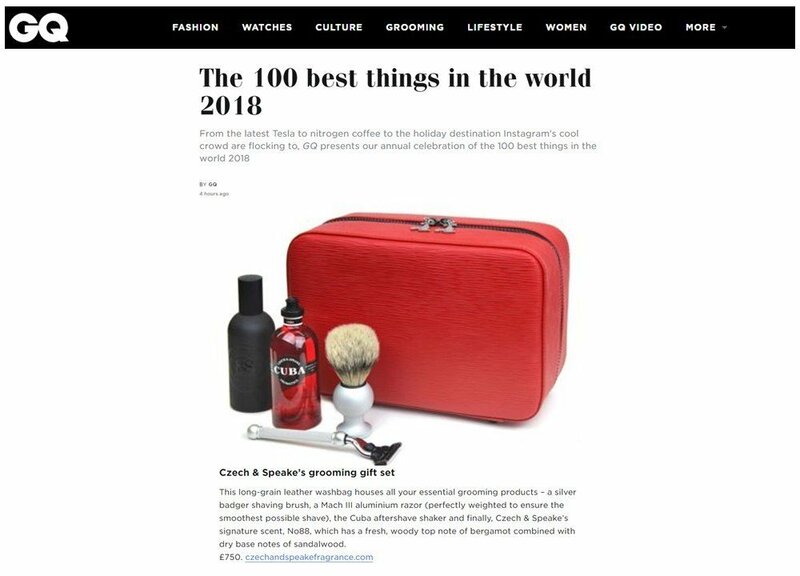 Perfect for Christmas and winter holidays, the Czech & Speake Grooming Set is exactly what the discerning gentleman needs to keep up with his grooming. Housed in an elegant three compartment English long-grain leather wash bag, The Complete Gentleman’s Gift Set contains all the essential grooming products of a true English gentleman.